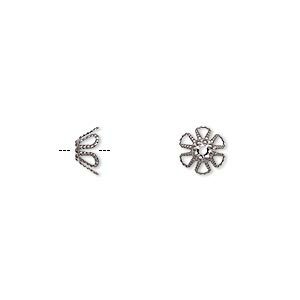 Bead cap, gunmetal-plated brass, 4x1mm scalloped round, fits 4-6mm bead. Sold per pkg of 100. 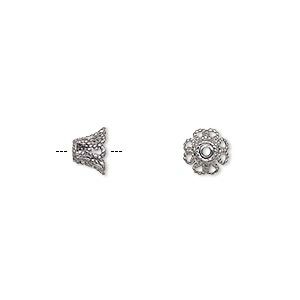 Item Number: H20-9509FX Have a question about this item? 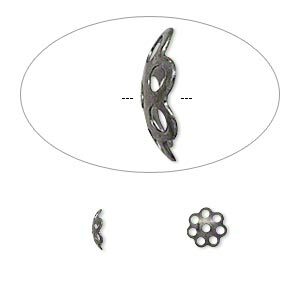 Gunmetal-plated brass bead caps add an elegant finish to round and oval beads and pearls; placing one on either side of a specialty or accent bead directs attention exactly where a designer wants it. 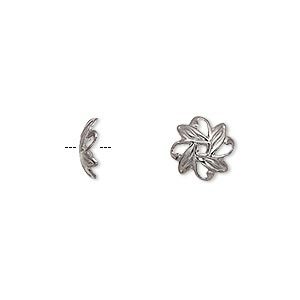 The neutral gray finish gives long-lasting shine and tarnish resistance, making it a crowd-pleasing addition to jewelry designs. 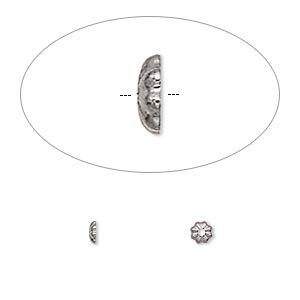 Bead cap, gunmetal-plated brass, 4x1mm scalloped round, fits 4-6mm bead. Sold per pkg of 500. 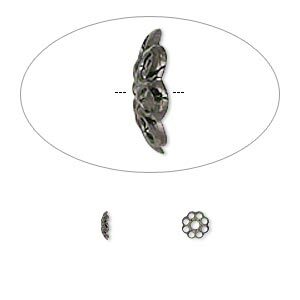 Bead cap, gunmetal-plated brass, 4x1mm scalloped round, fits 4-6mm bead. Sold per pkg of 1,000. 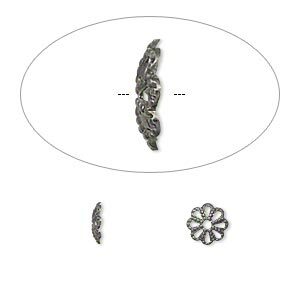 Bead cap, gunmetal-plated brass, 4x1mm fancy round with cutout pattern, fits 4-6mm bead. Sold per pkg of 100. 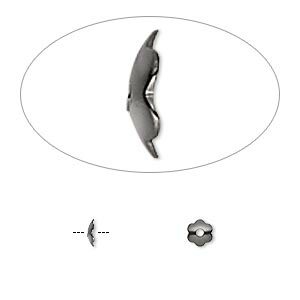 Bead cap, gunmetal-plated brass, 6x2mm round with cutout pattern, fits 6-8mm bead. Sold per pkg of 100. 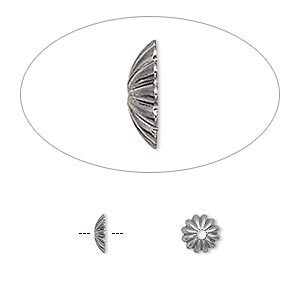 Bead cap, gunmetal-plated brass, 6x1mm fancy round with cutout pattern, fits 6-8mm bead. Sold per pkg of 100.